PBE has a reputation for having the most reliable products on the market, designed to improve productivity & safety in mines and is an excellent complement to our existing products and services. Their solutions are sophisticated and reliable, with over 40 years of experience of ensuring a safer and more productive mine and with our commitment to bring our customers only the best platform of products on the market this partnership makes our relationship a perfect fit. 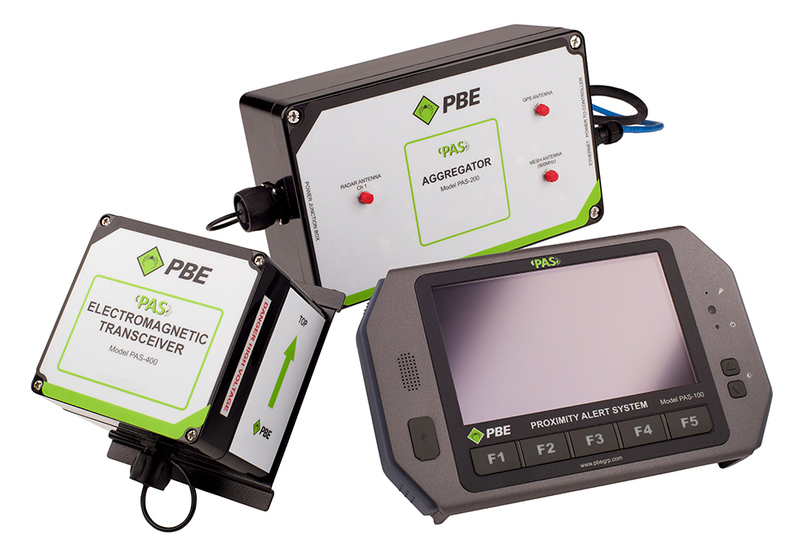 PBE takes mining safety to a new level with its Proximity Alert System (PAS). PAS detects on-site physical hazards and then transmits the data over a PBE Leaky Feeder System to notify the operator that something or someone is near.